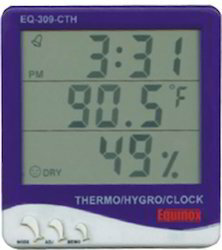 We are a leading Manufacturer of ir-thermometer-eq-dt8530, precis-temp transmitter-optris-ct20, thermo-anmometer-eq619, thermo-hygrometer-eq308, thermo-hygrometer-eq309 and light intensity meter & data logger from Chennai, India. Battery, Operation manual, Carrying pouch. Battery life 80 hours approx. Battery Current 8.3 mA DC approx. Sampling rate 1 reading per second approx. The memory of Max & Min measuring value. 12-hour / 24-hour displaying system selectable. deg C/deg F unit selectable. Simultaneous display of time / Temp. / Humidity. 12/24 hour display system selectable. The HD2102.1 & HD2102.2 are portable instruments with a large LCD display. They measure illuminance, luminance, PAR & irradiance (across VIS-NIR, UVA, UVB & UVC spectral regions or measurement of irradiance effective according to the UV action curve. )The probes are fitted with the SICRAM automatic detection module: in addition to detection, the unit of measurement selection is also automatic. The factory calibration settings are already memorized inside the instruments. In addition to instantaneous measurement the instruments calculate the acquired measurements time integral Q(t). Some thresholds can be associated with the integrated measurement & with the integration time, which can be set in the menu. When exceeded these thresholds cause the instrument to stop the integral calculation. 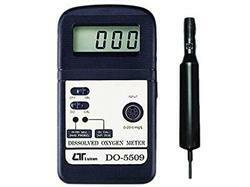 The HD2102.2 instrument is a data logger . It stores up to 38,000 samples which can be transferred from the instrument connected to a PC via the multi-standard RS232C serial port & USB 2.0. The storing interval, printing & baud rate can be configured using the menu. The HD2102.1 & HD2102.2 models are fitted with an RS 232C serial port & can transfer the acquired measurements in real time to a PC or to a portable printer. The Max, Min& Avg function calculate the maximum, minimum or average values. Other function include: the relative measurement REL, the HOLD function & the automatic turning off that can also be disabled. The non-contact body is designed for body surface & forehead temperature measurement for infants & adults without contact to human body. It can be used by consumers in household environment & doctor in clinic as . It is manufactured in accordance with the astm 1965-1998 standard specification for infrared thermometers for intermittent determination of patient temperature. 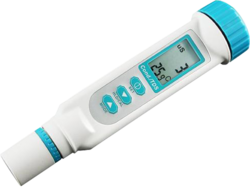 The non-contact body infrared thermometer can also be used to measure the temperature of a baby-bottle or bath, or room temperature (by using the surface temp. Function). This function is in accordance with the directive 89/336/eec compatibility. Selectable body & surface temp. 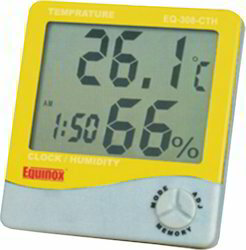 Compact data logger for recording both temperature/humidity. It stores up to 16,000 reading each of temperature & relative humidity and the user can easily set up the logging rate, high/low alarm and start mode and download the stored data by plugging the module straight into a PC’s USB port and software compatible with Windows 2000, XP or Vista. Status indication is via flashing Red / Yellow LED and Green LED. 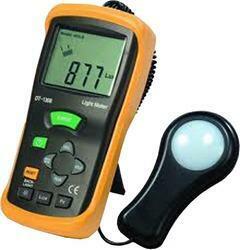 We also deal in Light-intensity-meter-HD2102. 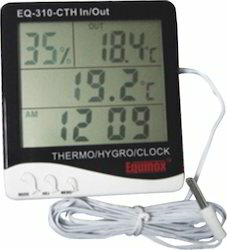 We also deal in Thermo Hygrometer.